1. 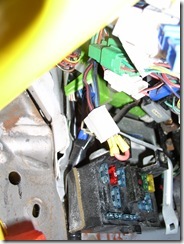 Disable the clutch safety switch that prevents you from starting the car, unless the clutch is depressed. 2. 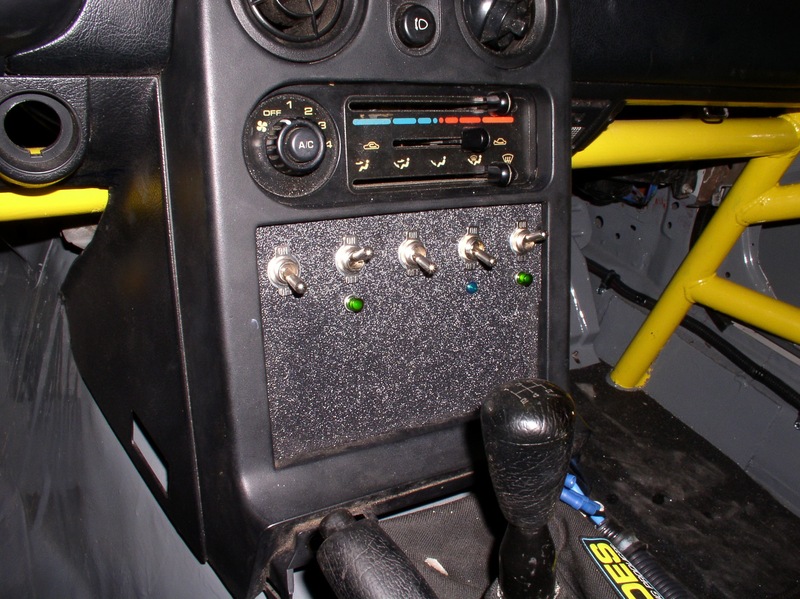 Install a horn button. 3. 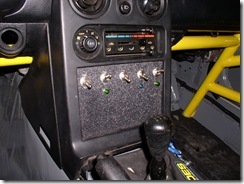 Rewire my dash switches to include ON indicator LEDs, and pre-wire for the GoPro remote switch mod. 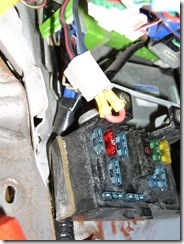 The clutch safety switch is NOT the switch that is directly attached to the clutch bump-stop. Rather it is attached to the bottom part of the clutch pedal throw. 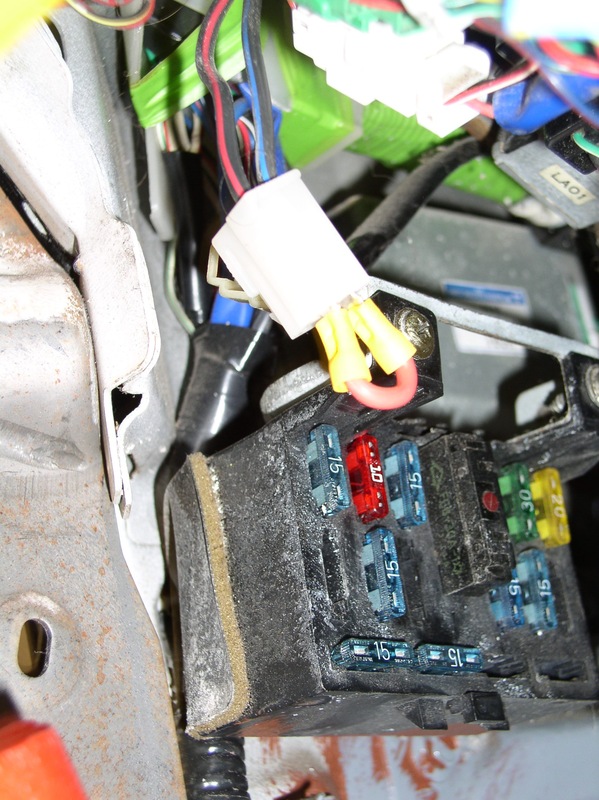 There is a white connector that connects this switch to the ignition system. 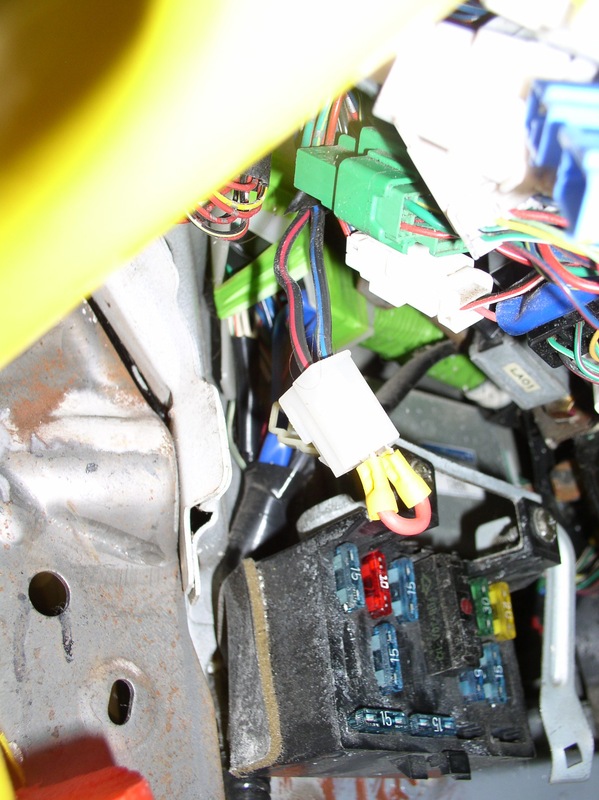 In order to bypass the switch you need to remove the connector from the switch, and insert a jumper into the harness side of the connector. You could remove the connector and simply splice the wires together. I chose to retain the connector, and add a jumper. 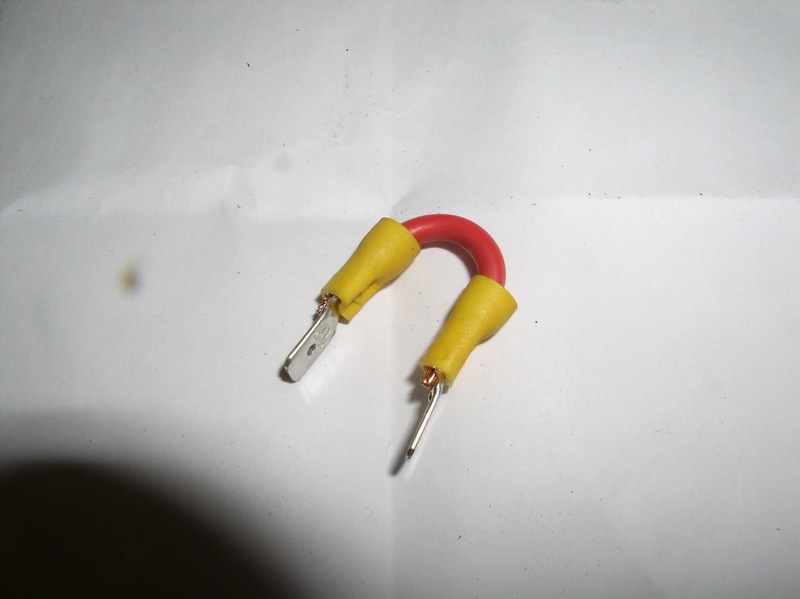 I used 14 AWG wire along with two crimp male spade connectors. Finally, in order to ensure that the jumper does not dislodge…some tape is highly recommended. Next up, a horn button: My Momo 78 wheel came with a horn button, but it doesn’t fit between the wheel and the quick-release housing. So, I needed a new location. The horn is a required safety item in the state of Texas. I figured out that the mom horn button fits perfectly into an eyeball vent insert with the eyeball part removed….Actually, just the trim-ring part of the vent. So, I took the eyeball vent trim-ring, and used some JB weld to glue it into the outside drivers vent hole. 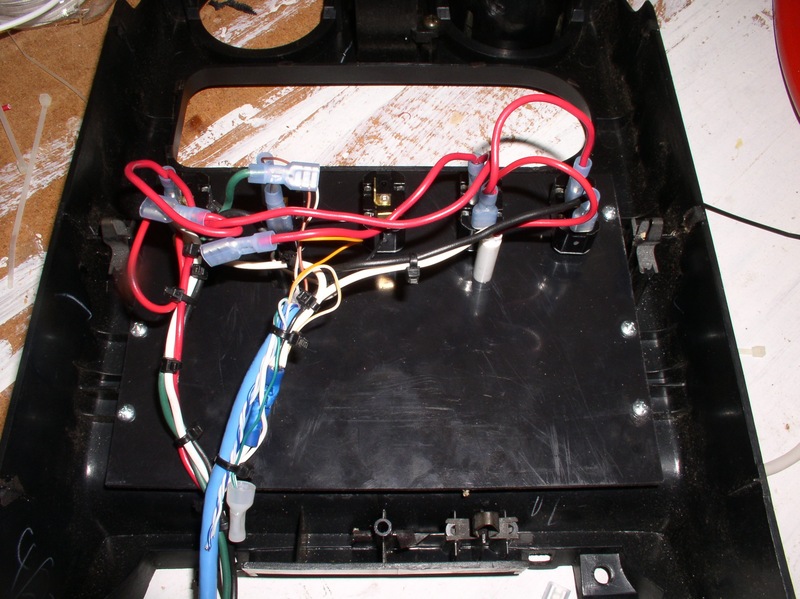 Then some wires run to the horn cable….voila! You can barely tell the car has a horn. 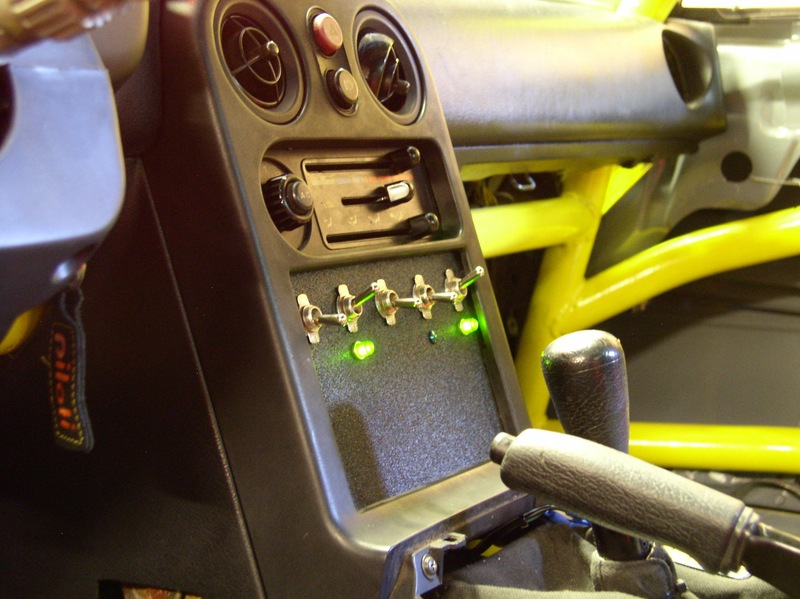 I put the switches in this order based in the probability of wanting to change the position of the switch while on the track. Closer to the driver = more likely to change during session. 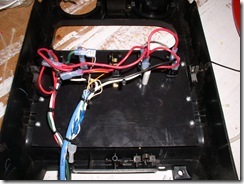 The GoPro mod wiring is made using cat5e cable. This cable includes 4 twisted pairs of solid core copper wire. I used this with the intent to crimp RJ45 connectors on the ends and use female-female couplers to mate the switch (and camera) to the vehicle harness. I prewired a bare LED (without current limiting resistor) to one twisted pair. 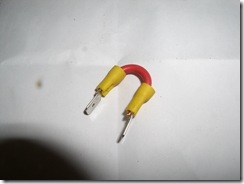 Another pair I wired to 12VDC (for charging power to camera). Finally a third pair I wired to the switch. I have a momentary toggle switch on order from Pegasus. 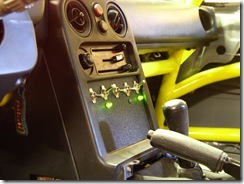 I will replace the current ON/OFF switch with this momentary when it comes in. This will act identically to the ON/OFF button on the front of the GoPro HD camera. The LED will be driven by the GoPro camera whenever it is ON. The current limiting resistor will be located on my custom PCB. You can see in the second picture that I’ve reinstalled the E-Brake. 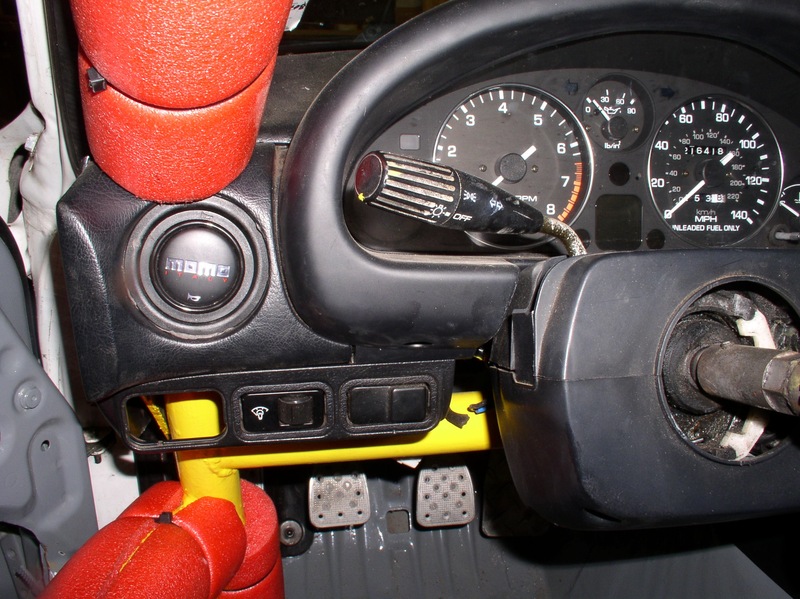 For the same reason as the horn, the E-Brake is required to pass a safety inspection. My inspection is up at the end of June. So, in order to keep driving the car on the street, I need to pass this inspection before the month ends. The final item for compliance is to install the Catalytic converter. I’m going to take the car to a muffler shop and tell them to simply find any place they can and weld some flanges in place for the Cat.